Since the Vatican asked for Catholic input to inform next fall’s Synod of Bishops, ambiguity reigns among lay people, clergy, and, it appears, even the Vatican. Directions to disseminate it “immediately” and “as widely as possible” accompanied the Vatican’s release of the 39-question survey, but how this is incarnated is less clear and limited interpretations in the US have left many unhappy. 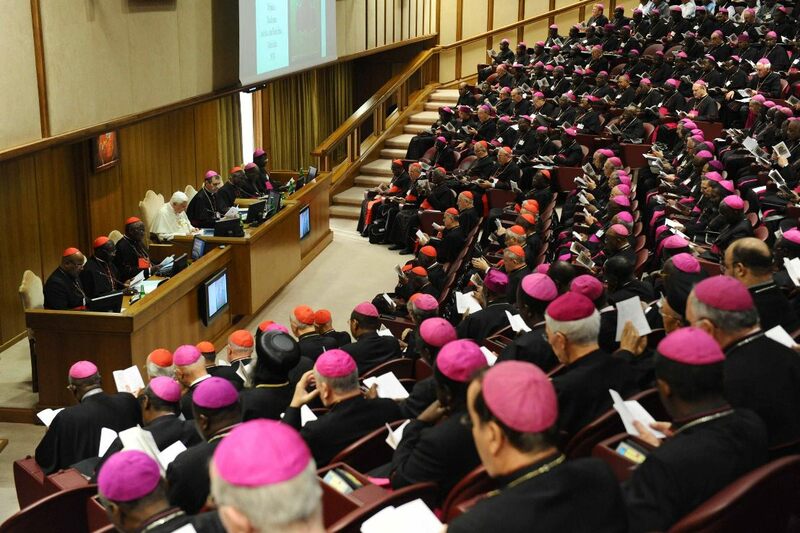 “Baldisseri said pastors were expected to provide summaries of the views and experiences of parishioners and that their findings would be ‘channeled’ in turn through national bishops’ conferences for ultimate consideration by the synod. As for the US bishops, their conference has closed off any broader consultation with Catholics and asks only for bishops to send their personal observations. This path has left many dissatisfied, and several bishops and past staff at the USCCB called the letters from the Vatican and the Conference conflicting messages. Coincidentally, the Archdiocese of Detroit published a questionnaire for Catholics about the quality of parish life and local church issues which is unrelated to the upcoming synod. This survey, according to National Catholic Reporter, skips topics such as marriage equality and the archdiocese’s spokesperson went to lengths separating it from the Vatican’s request for Catholic input. Equally dissatisfied are many American Catholics who desire their voices be heard at the Synod and question what impact this effort will actually have in reforming Church practices. Catholic Organizations for Renewal has launched its own survey, based on the Vatican’s questions, and is available to be completed by clicking here. Organizational sponsors of the survey project from Catholic Organizations for Renewal (COR) include American Catholic Council, Call To Action, CORPUS, DignityUSA, Federation of Christian Ministries/Roman Catholic Faith Community Council, FutureChurch, New Ways Ministry, RAPPORT, Roman Catholic WomenPriests, Southeastern Pennsylvania Women’s Ordination Conference, Voice of the Faithful, and Women’s Ordination Conference. Other supporting organizations include Catholic Church Reform, Fortunate Families, and Women’s Alliance for Theology, Ethics and Ritual (WATER). Additional organizations are being invited to sponsor the project, and to encourage their members to complete it. Catholics in Alliance for the Common Good have also launched a survey to gather Catholic input in the US in place of the bishops’ silence. “I think it demonstrates a grounding in the practical realities of the world,’ Duddy-Burke said, though she cautioned that the real test is if the Vatican agrees to hear from a diverse range of families at the actual synod. Whether or not the Synod will take up LGBT family matters is, as expected, unclear. Regardless, it is important for LGBT-affirming Catholics to make their voices heard through the surveys offered by Catholic Organizations for Renewal and Catholics in Alliance for the Common Good. There is always ambiguity in the catholic religious system. I looked at the survey and I fell it is a very poorly thought out survey and the questions ask the taker to speak for all catholics, which is impossible to do.